The Gulfstream G4 revolutionized the world of business aviation when it was first introduced to the market. 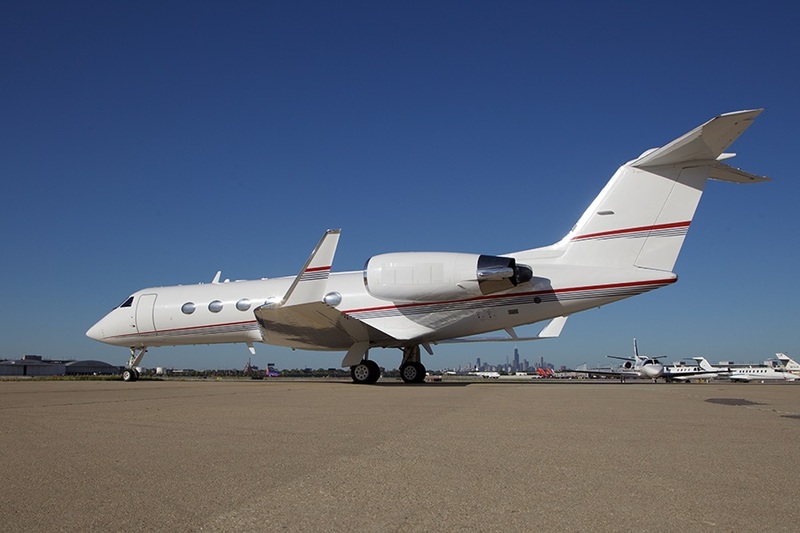 Simply known as the “GIV” or “G4”, it’s one of the most well-known private jets produced by Gulfstream Aerospace, and it remains one of the most frequently requested luxury jets for private flights around the world. Enjoy instant access to GIV private jets anywhere in the world with Air Charter Advisors. Enjoy simple, pay as you go jet charter service without any hidden fees, memberships, or upfront costs. We offer free, unlimited charter quotes on all your upcoming Gulfstream IV flights, complete with the most competitive rates at this level of private aviation. In addition to on-demand jet charter service, our brokers can connect clients to jet cards and fractional ownership programs, and we offer assistance with aircraft sales/acquisitions for individuals and executive flight groups. Need your privately owned GIV managed? We offer Part 135 and 121 charter management services, and we can market your aircraft across the largest online marketplace in the world for private jet charter. 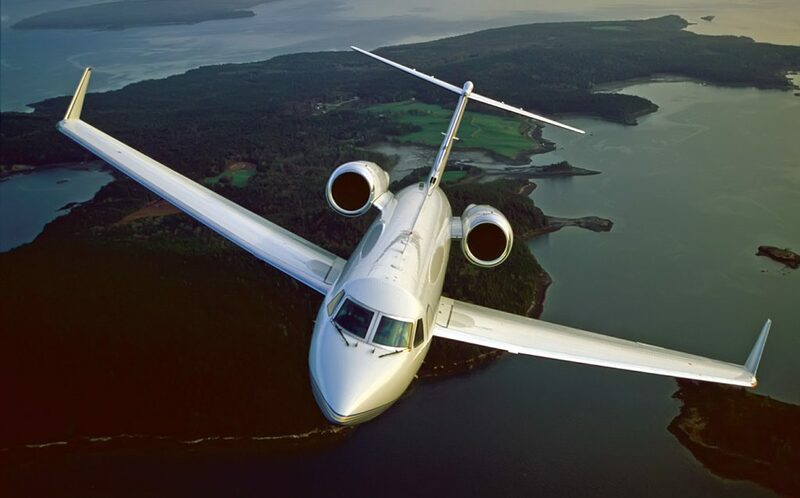 For availability and hourly rates on Gulfstream GIV private jet, or for information about G4 plane rental, jet cards, fractional, and individual ownership, call one of our advisors at 1-888-987-5387. The most frequently requested flight in the United States for G-IV jet charter is between New York and Los Angeles; a G4 plane rental is also a popular choice for transoceanic flights from New York City to London, Paris, Geneva, and more. The Gulfstream GIV (G4) is renowned as one of the most sophisticated luxury jets due to its timeless style, comfort, and productivity. Although it’s been 15 years since the last model was produced, it remains one of the most requested luxury jets on the charter market, and a popular choice for executives and corporate flight departments. The GIV reaches speeds up to 581 miles per hour (505 knots), offers seating for up to 13 passengers, and an impressive, transoceanic flight range; it can fly up to 4,300 nautical miles without stopping, and with 13 passengers, it can travel non-stop at cruising speeds of 528 mph with a range of 3,800 nautical miles. Production began in 1985 and the first Gulfstream IV was introduced two years later, offering a significantly upgrade to the earlier (and smaller) G-II and G-III. It went on to enjoy a production run of 16 years, with several military and government versions created along the way, and many still in service. The extended fuselage and larger cabin accommodates seating for more passengers with the option to sleep 6, and each side offers 6 large, circular windows for improved natural lighting. All these features combined would make the Gulfstream GIV one the most popular corporate jets in aviation history. The Gulfstream GIV’s cabin measures 1,650 cubic feet, offering plenty of space for large groups traveling together. Cabin amenities include fully reclining chairs or divans, forward or rear lavatory, a full size galley, and a large baggage compartment easy to access during your flight. Although standard configurations accommodate 13-14 passengers, several high-density configurations were created for up to 19-passengers. There is 169 cubic feet of storage available, enough to fit 6 rolling suitcases, 8 garment bags, 7 carry-on bags, and 4 sets of golf clubs. Cruising at impressive speeds of around 530 mph, the GIV is an attractive choice for both domestic and international jet charters. A pair of cutting-edge Rolls-Royce Tay 611-8 turbofan engines produce exceptional thrust and cruising speeds, allowing for impressive intercontinental range. It also offered incredible runway performance for a jet its size, requiring only a 5,000 foot runway to take-off, allowing it to access remote airport other jets in its class can’t reach. One of the most notorious luxury jets in the history of private aviation, the Gulfstream GIV entered service in 1987, and over 500 aircraft were produced until late 2002, when the last GIV rolled out before the assembly line transitioned to producing the newer G300 and G400. Future models including the G350, G450, G500, and G550 were all built upon the foundation laid by the Gulfstream GIV, offering unique flexibility to corporate and business jet fleets. The model’s uniformity allows for simple pilot type conversions, which can lead to substantial savings for individuals and corporations who own multiple aircraft from the Gulfstream G-series. Go back a couple of decades, and the Gulfstream GIV was considered the most luxurious form of private air travel; it was the largest, fastest, and most luxurious private jet available, and hourly charter rates started at approximately $5,500 to fly private on a GIV. Despite being replaced by larger cabin jets in the Gulfstream G series, these newer models are in higher demand, and are in fewer quantities; the GIV is no longer in production, but there are more than 500 flying today, with several available for private flights. Charter rates start at around $6,000 per hour, and climb higher based on upgrades, amenities, and additional options. Since the G-IV is still available and for thousands per hour less compared to newer models, they’re still one of the most attractive and highly sought after luxury jet options in the charter market, creating the potential for a high return on investment for G-IV owners making their plane available for charter. Air Charter Advisors can place your privately owned aircraft in front of thousands of business and luxury flyers every day – learn more about our aircraft management and charter marketing services. Gulfstream GIV hourly charter rates vary based on year of make/model, date & time of your flight, aircraft schedule & routing, passenger & baggage totals, and other factors. If you’re interested in acquiring one privately, Air Charter Advisors offers access to GIV private jets for purchase, lease, or through fractional ownership and jet card programs. The Gulfstream IV is one of the most sought after luxury jets in private aviation, and renting a G4 is a great way to travel to business meetings, vacations, and special events around the globe. Air Charter Advisors is your comprehensive source for jet charter services, from acquisitions, fractional ownership, jet cards and more. Call us directly at 1-888-987-5387 or contact us via e-mail with any questions or requests. * Average hourly rates are examples and vary depending on make, model and year; amenities, routing and scheduling/availability, and do not include fuel, taxes, or potential re-positioning. All images copyrighted and provided courtesy of Gulfstream Aerospace unless otherwise noted.